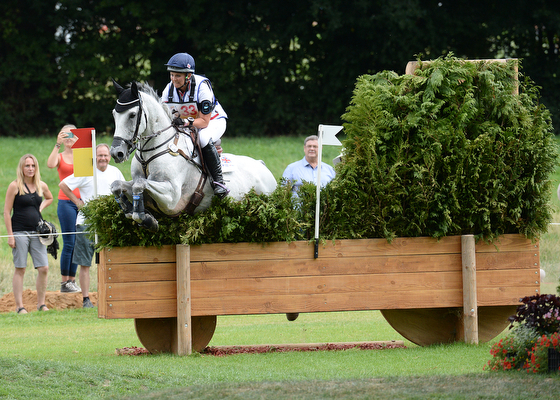 Britain was eliminated in the eventing Nations Cup at Aachen today (Friday, 14 August) after a close call decision on whether a rider was the wrong side of a flag at a corner fence. The competition ran alongside the FEI European Championships in dressage, showjumping, reining, vaulting and driving taking place at this prestigious German venue. But it is not the eventing European Championships — this is taking place at Blair Castle in Scotland in September. Britain has a policy of giving up-and-coming riders experience in the Nations Cup series and has stuck to this for Aachen. The four riders on the team were all making their championship debut at Blair, and three of them rode the same horses here. Holly Woodhead, 21, was second after dressage and showjumping after brilliant performances yesterday. But today her ride DHI Lupison was “seriously bold”, which led to a run-out at the tricky double of angled hedge tractors at fence 16ab – a fence which caught out several experienced pairs too. Then further round the course Holly took out the flag at the corner in the water at fence 20b (pictured above). Although she initially showed on the results as having just 20 penalties — which left the British team third — she was later eliminated because the ground jury reviewed the video footage and judged that she had been outside the flag. This meant the team was also eliminated, because another British rider, Flora Harris, was also knocked out of the competition when her mother Caroline and Rebecca Salt’s Bayano had three run-outs. Nonetheless, there were positives for the Brits. Gemma Tattersall, the only British rider not on her Blair mount, finished 14th on the syndicate-owned Quicklook V after 10 time-faults. “She was incredibly straight and so genuine – she’s done three three-stars in her whole career, so this was a serious ask for her,” said Gemma. Francis Whittington proved a great pathfinder for both the British squad and the whole competition, coming home clear with 7.2 time-faults for 16th on Catherine Witt’s Easy Target. “I wanted a good cross-country round in preparation for Blair and that’s what this week was about – there were a few tighter lines I could have taken, but I wanted to keep him balanced and think about having a good round for Blair,” said Francis. Germany maintained its superiority today to take first place in the Nations Cup and all three individual podium places. 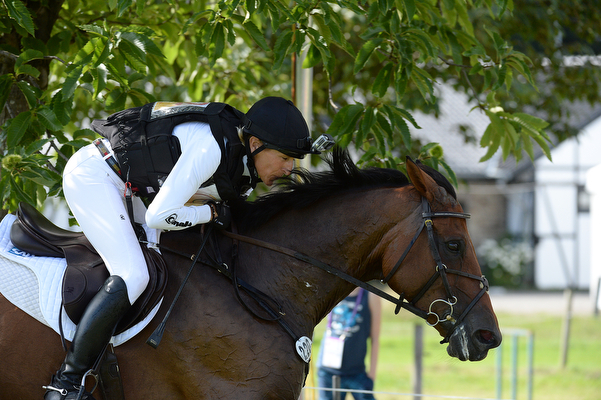 Ingrid Klimke finished first on individual ride FRH Escada JS and second on her team horse Horseware Hale Bob. 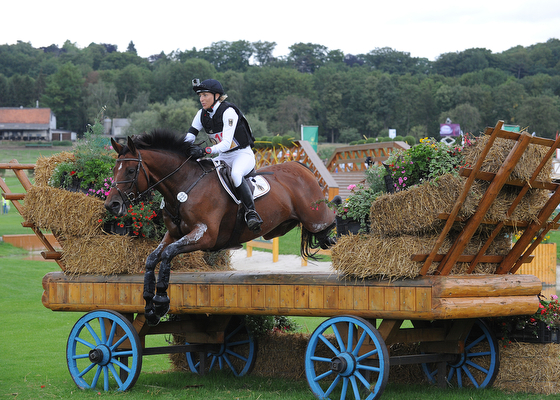 “Escada knows her job exactly and was jumping very boldly – it was pure fun to ride her,” said Ingrid. World champion Sandra Auffarth took third on Opgun Louvo. New Zealand finished second, led by husband and wife team the Prices, with Tim fourth on Wesko and Jonelle sixth on Faerie Dianimo. The USA took third, well behind the two leading teams.